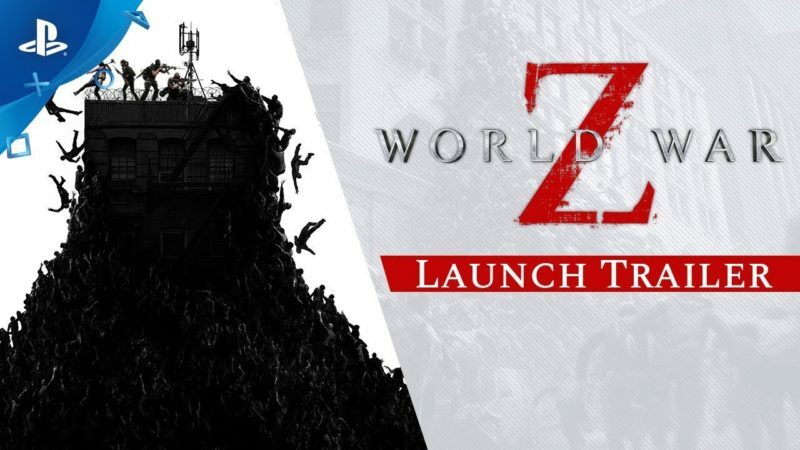 World War Z (the video game) launches in just four days, and it’s looking to be a lot of fun. At least I’m excited to try it. The launch trailer just dropped, set to the fun beat of Edwin Starr’s protest song War (what is it good for) — which, if the game doesn’t review well, might not have been the best song to lead with as we’ve seen with other games). I still really like just how well the zombie wave thing from the movie has been done here. 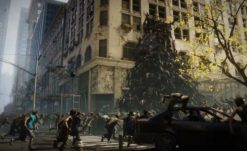 Saber Interactive and Focus have released the new launch trailer for World War Z , the highly anticipated action-packed co-op shooter inspired by Paramount Pictures’ blockbuster movie. 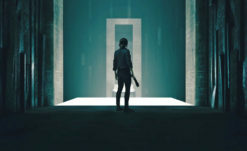 Take a look at the explosive launch trailer, set to the song “War” covered by Black Stone Cherry, and prepare for the dead in four more days. Powered by Saber’s dynamic Swarm Engine ™, World War Z fast-moving, bloodthirsty zombies – as a collective as well as break away into individual attackers – at a time on players. Arsenal of deadly weapons, explosives, turrets and traps. Outlive the dead through intense four-player co-op campaign missions around the world, including New York, Jerusalem, Moscow and Tokyo, and both battle zombies and real human opponents in competitive, team-based players. Players vs. Zombies (PvPvZ) multiplayer . There is also a pre-order bonus, the Lobo Weapon Pack — featuring three golden weapon skins and the dual-bladed Lobo spade. 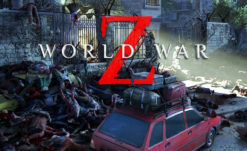 World War Z launches April 16th across Xbox One, PS4, and PC via the Epic Games Store.